Check-in date Prenotazioni al completo! SPECIAL OFFER: Book together outward and return and you suffered a discount! Return date Prenotazioni al completo! Attention, please! The blank spaces are not correctly completed. Enhance your holidays with our exclusive itineraies! In cooperation with one of the most important wineries in our area, we organize transfer, visit and wine tasting of the best local wines. Tedeschi Bros Winery, in Pedemonte in the heartland of Valpolicella valley, produces one of the best wines all over the world: the "Amarone", the ancient Latin poet Catullo (Carme n. 27) in 49 B.C. spoke about "calices amariores"= the bitterest wine glasses!). - transfer back to your hotel/campsite. N.B. Fees for wine and delicatessen tasting are to be paid only to the winery. The guided winery visit is offered in Italian or in English language. During the visit it is possible to buy (no compulsory purchases) wine bottles. A long holiday or a short weekend in Verona: you MUST attend an opera performance in the Arena theatre! - Pick up at your hotel or campsite in the area of Peschiera del Garda, Castelnuovo del Garda, Cavalcaselle. - transfer (in about 30 min.) to the Verona city centre, in Piazza Brà, a few metres from the Arena theatre. - The driver will meet you at the end of the performance for the transfer back to your hotel/campsite. 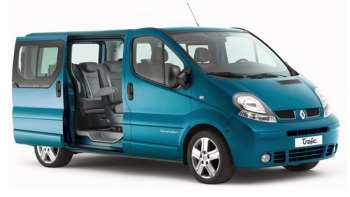 Only transfer to/from Verona is included in the above prices. Arena tickets are not included. VISIT VERONA WITHOUT A GUIDE! If you are on holiday on the Garda lake, it is impossible to miss a visit of the unique town of Verona, a short visit at least! The Della Scala family town, famous for the tragedy of Romeo and Juliet, is an UNESCO world heritage site. Lord Byron was touched when he visited Juliet's tomb! 14 years old W. A. Mozart played at the Philharmonic Academy in St. Thomas Cantuariense Church; there he carved his initials on the church's pipe organ with his pocketknife! One of the most famous Verona guest is the Dutch orchestra leader, harpsichordist and organist Ton Koopman. - Pick up at your hotel or campsite in the area of Peschiera del Garda, Castelnuovo del Garda, Cavalcaselle; transfer (in about 30 min.) to the Verona city centre where you start the tourist tour. - Stop (about 30 min.) in Piazza Brà (the central historical square of Verona); free visit of the Arena, the Brà gardens, the Gran Guardia Palace, the Town Hall and the "Liston" (the famous gallery and pavement full of restaurants and cafés!). - By car to Piazza delle Erbe: 40 min. stop. - Free visit of Juliet's House, Piazza delle Erbe, the Lamberti's Tower and...shopping in two of the most famous shopping streets of the town: via Cappello and via Mazzini. - Next stop: St. Peter's Castle on the famous hill, 15 min. stop to enjoy a wonderful view of Verona. -Back to your hotel or campsite. Visit Vip Venice without a tourist guide! It is impossible to miss a visit of the unique town of Venice: the Carnival, the Lagoon, Palaces, History, the most romantic city in the world. Here you are only some of the wonderful tourist attractions of Venice: the St. Mark Square, the Rialto bridge, the ducal Palace and the Basilica of St. Mark. - Pick up at your hotel or campsite in the area of Peschiera del Garda, Castelnuovo del Garda, Cavalcaselle,Verona at about 9:30. - Transfer (in about 1 hour and 20 min.) to Piazzale Roma where you find all the on water means of transport. - Free visit of the city. 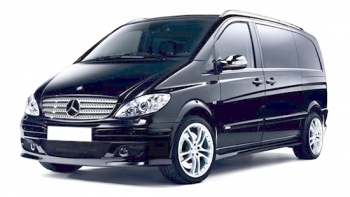 - Our driver will explain you how to get around the city and he will tell you the meeting point in the afternoon. - Departure in the afternoon at about 4 p.m. and back to your hotel or campsite. You must not miss a visit to the Mantova Outlet Village: a lot of top quality brand shops in one of the biggest shopping centres in Northern Italy. Perfect for families: a lot of snacks bars and restaurants and children playgrounds. Val di Fassa,Val di Fiemme,Val Pusteria,Val Gardena,Cortina d'Ampezzo,Madonna di Campiglio AND SO MANY OTHERS. All our cars are perfectly equipped and geared to face freezing winters. Confortable Minibus will go with you in a unique and friendly journey.Your driver will be able to be your trusted referee. From Verona,Venice and Bergamo our transfer service to the worthiest destinations where you can play sports and enjoy breath-taking panorama and,why not,amusement and entertainment ! Your needs at the SUMMIT of our cares !! 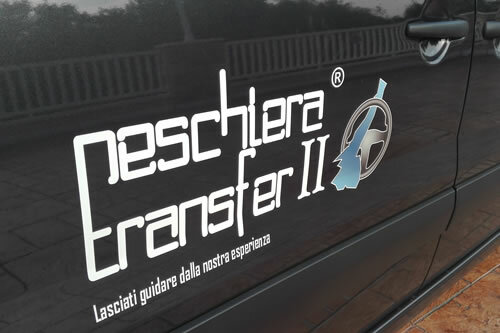 Peschiera Transfer II has a fleet of cars suitable for making comfortable the longest transfer too. 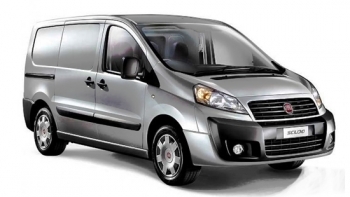 Peschiera Transfer II is a car hiring company with driver, 24 h service, 7 days a week. Peschiera Transfer is the best solution for people who need to move and want to do it with maximum comfort and complete safety. Peschiera Transfer II rappresenta la soluzione migliore per chi ha esigenza di spostarsi. Peschiera Transfer II is a car hiring company with driver, 24 h service, 7 days a week offering a shuttle service to and from airports , train stations and hotels; transfer for business travelers, personalized excursions in each details. You will be sure to find the car waiting in the defined address or at the airport in the fixed time of the appointment. 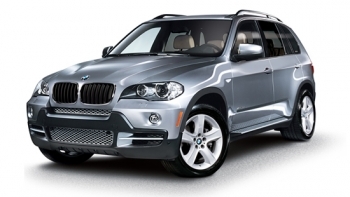 We offer a lot of different services by top quality cars. Our customers are mostly individual citizens, companies, hotels and campsites. We are strongly involved in road security campaigns and we fight by any means against Saturday nights' accidents. 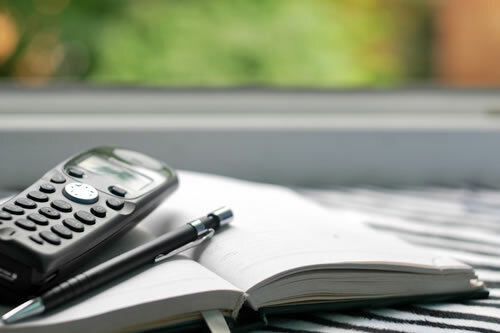 If you need any other information and explanation, do not hesitate to contact us by email or by phone. If you need any explanation on type of services, prices, cars and other information do not hesitate to contact us by email. CONTACT US AND RELY ON US! We are proud of our exclusive partners, first of all Gardaland.